The National Complete Streets Coalition is just that—a coalition—and our success is made possible by our many partner organizations. 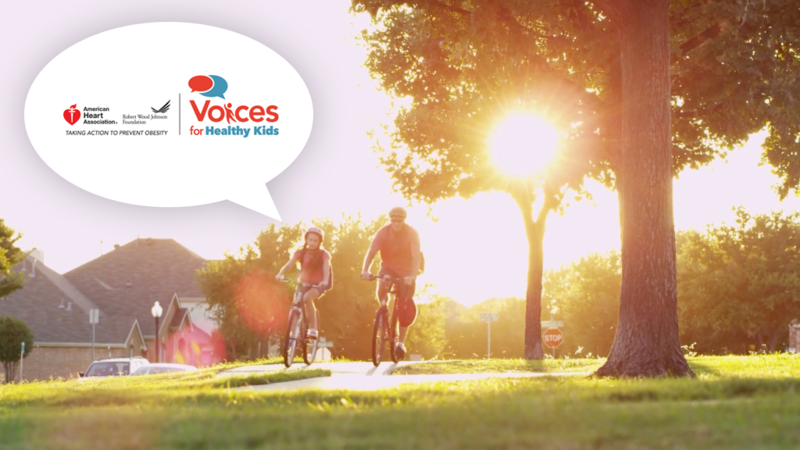 Voices for Healthy Kids is the newest member of our Steering Committee and we’re proud to welcome them. We sat down with Stephanie Vaughn, Marketing Manager at Voices for Healthy Kids, to learn more about their work and what drives their commitment to Complete Streets. Download this fact sheet to learn how Complete Streets improve health. Smart Growth America’s Local Leaders Council recently spoke with Laura Jackson, an Executive Vice President of Wellmark Blue Cross Blue Shield, to get her perspective on why smart growth strategies should be a priority for the health care industry and how the way we build communities can help abate rising health care costs and improve public health. “Smart growth practices are a way to help people understand that there are certain things you can do, either low cost or no cost in many cases in communities, to live a longer healthier life,” says Jackson. A large plot of land in East Austin will soon be developed into a mixed-income, sustainable community, thanks to a $3 million grant from the U.S. Department of Housing and Urban Development. The paper said some 60 metro areas had at least 250 foreclosed properties for sale by Fannie, Freddie and federal agencies—enough to efficiently execute rental programs. About two-fifths of properties held by Fannie could produce returns that justify converting them, it said. Metro health is closely associated with commuting patterns. Metros where greater shares of people walk and bike to work do better on the Metro Health Index (.62). Conversely, the share of people who drive to work alone is negatively associated with the Metro Health Index (-.47). The newest release of F as in Fat notes the alarming pace of America’s obesity crisis and makes six overarching strategies to bring our waistlines into check, including the recommendation for Complete Streets laws at the state and federal level. Recent news on the impending federal transportation authorization bill, however, indicates that such a recommendation has not yet penetrated the walls of Congress. Communities from Texas to Illinois and Pennsylvania to California are including healthy, active transportation activities in their Community Transformation Grant (CTG) application — and technical assistance from the National Complete Streets Coalition and the Safe Routes to School National Partnership can help them achieve their goals. We’ve rounded up additional resources for communities in today’s blog post. The Centers for Disease Control and Prevention (CDC) is currently accepting applications for Community Transformation Grants. We encourage you to include technical assistance from the Safe Routes to School National Partnership and the National Complete Streets Coalition in your application.